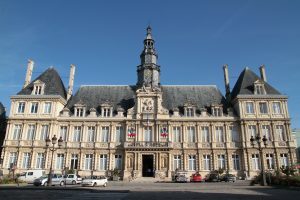 The Municipality of Reims (Ville de Reims) is the Local Authority for more than 200 000 inhabitants. It provides all the local services like security, equipment, local transport, social services… Some of the services are delegated to Reims Metropole which is a wider Local Authority gathering up Reims with the towns and villages around the city. The department of European and International Relations develops activities on a European and international dimensions, for example, it supports the activities regarding twin towns. The Department of Youth provides leisure activities to youngsters out of their school time during the holidays. It also implements the Municipal Youth Council which is a tool for children to exercise active citizenship. This department manages different financial supports for youth such as driving licence or BAFA – youth leisure activities certificate and implements activities of the Civic Service programme in various Municipality of Reims and Reims Metropole departments. The main objective of this EVS project is to develop European activities of the city of Reims, focusing on youth and the relations of twin towns. Volunteer has the opportunity to work with the local organizations whose services are dedicated to Europe and youth. Volunteering is mainly concerned of communication activities and creation of events. S/He assists to organize the European Day, takes care of communication on the media for the twin towns, supports activities promoting a European identity, for example, visits schools with the information campaign « European Ambassadors« , helps in the organization of European youth meetings, exhibition of his/her home country for children etc. Moreover, volunteer together with the Civic Services volunteers carry out group activities such as events organizition that valorize youth involvement in the city (Jeunes en Action) like youth entrepreneurship, voluntary work in different organizations etc. Volunteer also takes part in implementing leisure activities in his/her neighborhood to improve social links among the inhabitants or evolves awareness on sustainable development campaign. Volunteer is accommodated in a flat in Reims. S/He gets monthly ticket of public transportation in Reims. Money is received to cover the food expenses. Jonathan from Germany: I am working in the Department of International Relations that aims to promote exchanges with the twin cities. One of them is a German city called Aachen. In 2017 there is a celebration of the 50th anniversary of the partnership between the northern French and the western German cities. Several cultural, athletic and political events are dedicated to this occasion. To strengthen the relationship Aachen-Reims, I am searching for various future partners that could collaborate together, such as libraries or other cultural institutions. I am also working on social media projects as a tool to reach people from Aachen, to present them the twin city and to awaken their curiosity of exchange with Reims’ inhabitants. Moreover, together with local organizations of Reims we try to realize projects to promote European identity and, in particular, France-German relations. Therefore, I am happy that EVS brings me not only the French language skills but also I have possibility to learn how projects are implemented and to get to know the idea how politics is working.